Specialising in selling residential property – in particular Prestige Property - Annie started her career in real estate selling river front and high end property in Brisbane’s popular inner city suburb of Bulimba in 1998. Annie quickly made her mark in the industry and was the recipient of multiple National and State awards for her efforts including the prestigious Diamond Pin award for sales in excess of $175m. Annie is passionate about delivering exceptional client experiences and her strength is working with a handpicked team of professionals to strategically manage and plan the launch of every property, ensuring optimal exposure and price. A perfectionist in her approach and an avid property lover Annie has a passion for architecture and delights in showcasing her seller’s homes – often architecturally unique. Annie has owned her own successful real estate agencies and at one point was taking care of 3 offices on the Darling Downs. It was here that she was able to draw on her rural upbringing and became well known for selling up market lifestyle and rural acreage property. She understands that as a real estate professional she needs to keep abreast of industry trends in particular technology and digital media. Annie ensures that professional training keeps her at the forefront of the latest innovations delivering the ability to capture the widest of audience of buyers and she works diligently to deliver the highest level of service. Annie is a strong negotiator and this is continually reflected in her consistent results of premium prices. Continually striving to provide an elite level of service “above and beyond” the acceptable levels in the industry, Annie wholeheartedly believes in the value of having a support base to assist her in the sale of her client’s properties. 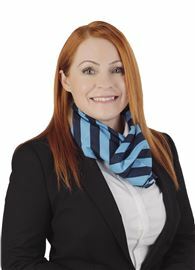 “I believe my foremost value is in the marketing and negotiating of sales and I personally invest to employ a team that specialises in all facets of the process leaving me to do what I do best – SELL PROPERTY!” Annie’s strategic team concept ensures a united force for her clients who receive a superior level of care and support throughout the whole selling process. As a result the entire experience of selling your home is “hassle free” and rewarding. All team members are focused and committed to the same result – a successful property transaction for the client. Focused, enthusiastic and highly motivated, Hayden Winter belongs to the new generation of real estate professional. An intuitive, long term thinker with a fresh approach. A proud member of ‘Harcourts Noosa Team’, Hayden’s involvement in real estate is far more than just a profession – it’s a passion. An accomplished networker with a natural affinity for people, his calm and open demeanor ensures that connections made are connections kept. Mary valley local, Hayden can’t think of living anywhere else. Attracted by the unique vibrancy, history and friendliness of his local area, Hayden is an active and willing participant in the community, from charity fundraisers to local events. Aware that the foundation of any good business is trust, Hayden and his team are committed to the community for the long haul. With cutting-edge marketing techniques and competitive pricing, the team relies on a straightforward approach of honest interaction and personal consultation to achieve the consistent, award winning results for which they are renowned. Hayden instinctively understands that, unlike many agencies, solely relying on past achievement will greatly inhibit future success. To that end, Hayden and his team strive daily to be the best that they can be. Living by the motto “if something’s worth doing, it’s worth doing well”, Hayden’s tailored and innovative methods have won him the respect of his peers, competitors and clients alike. Committed, enthusiastic and effortlessly personable, Hayden will deliver the right outcome, each and every time. John joins Harcourts Noosa with his wife Rachael as a dedicated team for Gympie and the Mary Valley, Queensland. 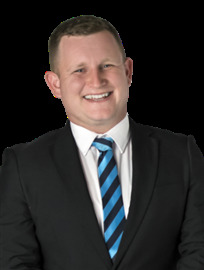 He grew up in Gympie and has been a local business owner for many years throughout Gympie and the Mary Valley. He has volunteered much of his time and passion over the last 20 years to coaching junior and senior sporting teams. This has given John a passion and vast understanding of the area and its people and has allowed him to make strong community connections throughout the region. John has a strong rural background, through growing up in Gympie with his family, attending Emerald Agricultural College and working on various cattle stations across Queensland, giving him broad experience in rural properties. You can be assured that John will listen to what you want. His hard working, can-do attitude and local property understanding will put you at ease, whether you are buying or selling. 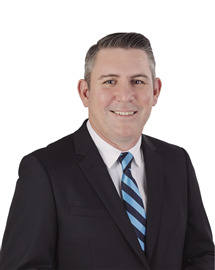 Michael is degree qualified, having completed a Bachelor of Business at QUT whilst also completing a Graduate Diploma in Applied Finance and Investment. He has spent the last 18 years in the financial services industry, predominantly working in funds management in Melbourne. He specialised in analysing and investing in listed property trusts as well as other industrial sectors like transport and infrastructure. Having worked for many years as a custodian for investors', Michael understands the importance of delivering for clients and is extremely professional. He really gets to know his clients so he can provide them with the right sort of solution and service. Rachael joins Harcourts Noosa with her husband John as a dedicated team for Gympie and the Mary Valley, Queensland. Rachael grew up on the Gold Coast where she completed her Bachelor's Degree in Education. Teaching has not only given her diversity but the opportunity to live in some amazing places and the life skills to openly communicate with people of all ages and walks of life with openness, compassion and understanding. 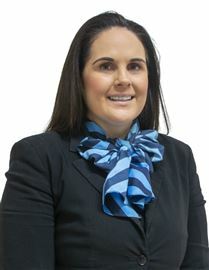 She is a proud advocate of the stunning Mary Valley and Gympie region after settling here in 2016 and has immersed herself in the local community, dedicating herself to building and maintaining strong connections and embracing all the region has to offer. You can feel confident that Rachael will listen intently to your wants and needs, analyse and comprehend your goals and trust that she will deliver exceptional service that will exceed your expectations. She understands that selling your existing home and/or purchasing a new property can be an exciting and sometimes daunting time, after all, your home is one of your biggest assets. As your agent, she is committed to finding solutions and taking the pressure off you. You can be assured that Rachael is dedicated to reaching the best possible outcome for you and will keep you informed every step of the way. DA Approved Aged Care Site! !